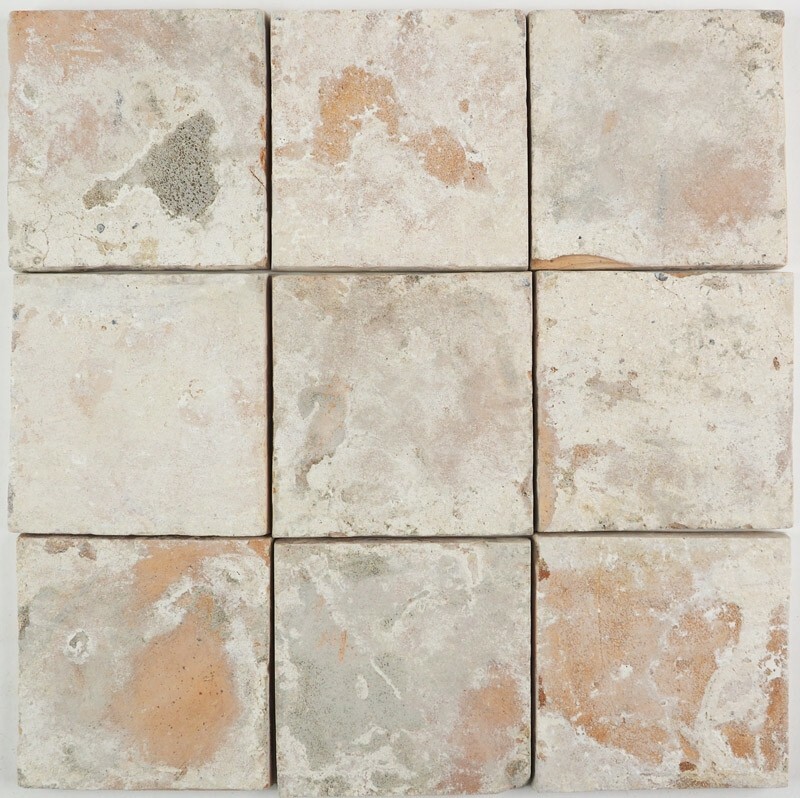 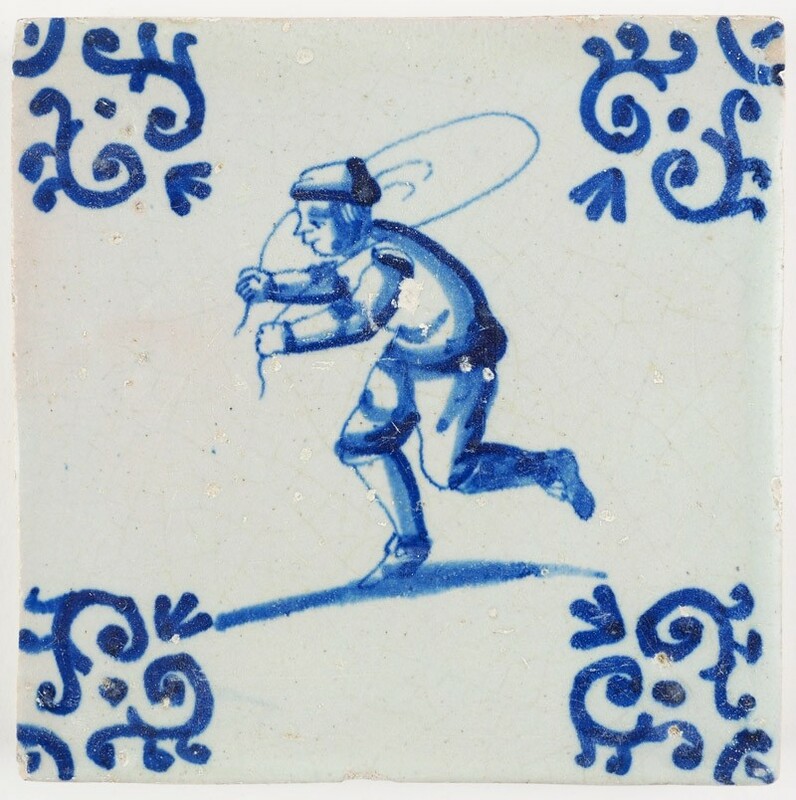 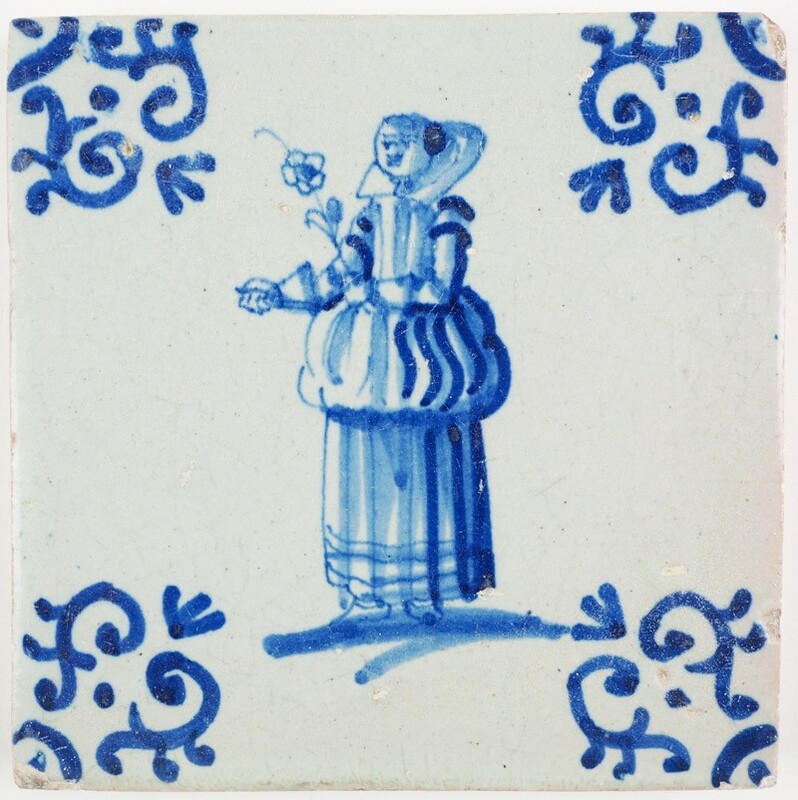 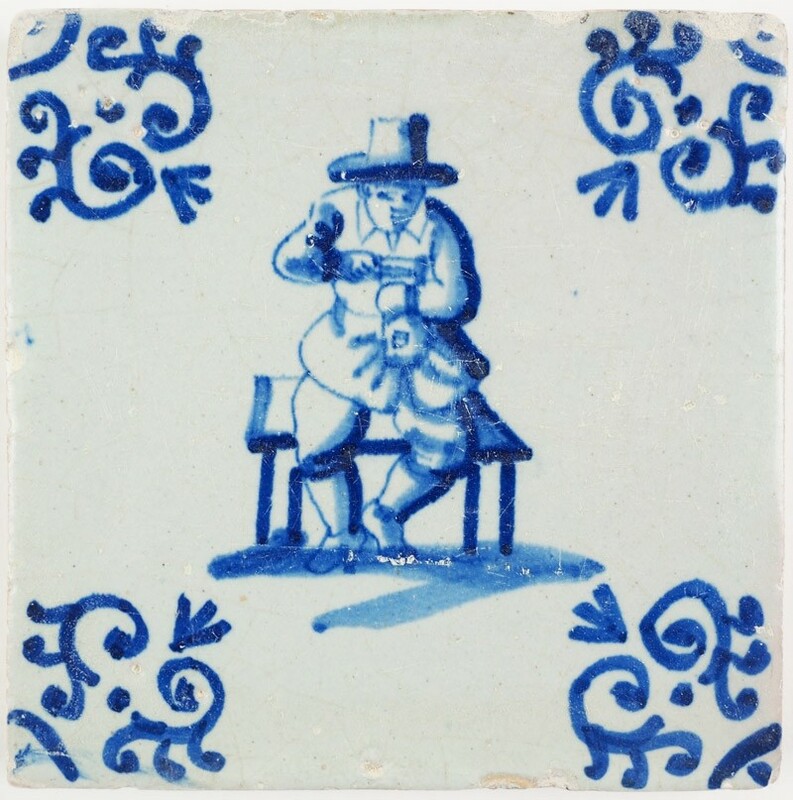 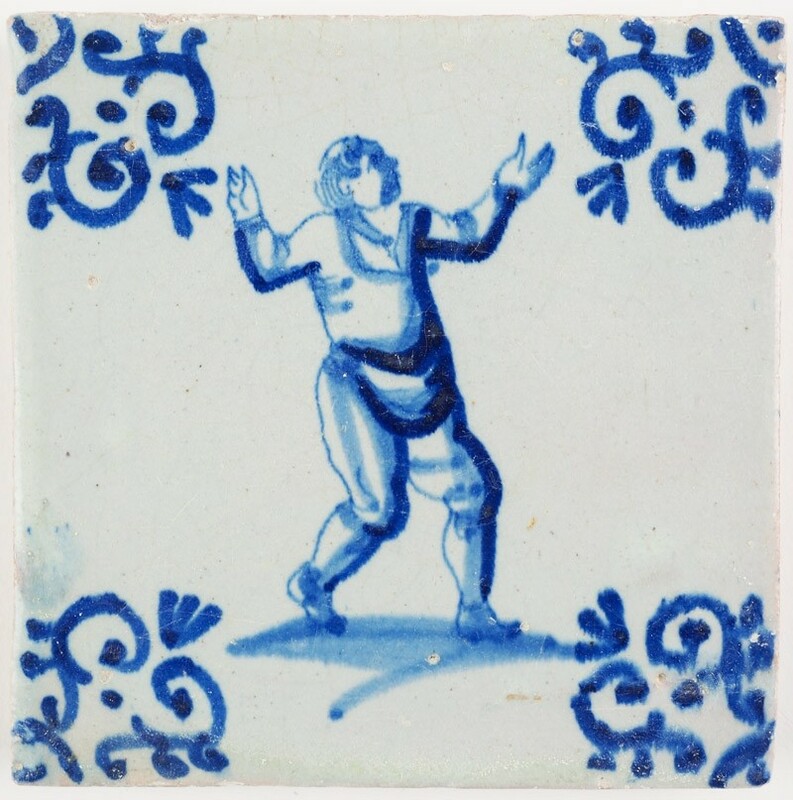 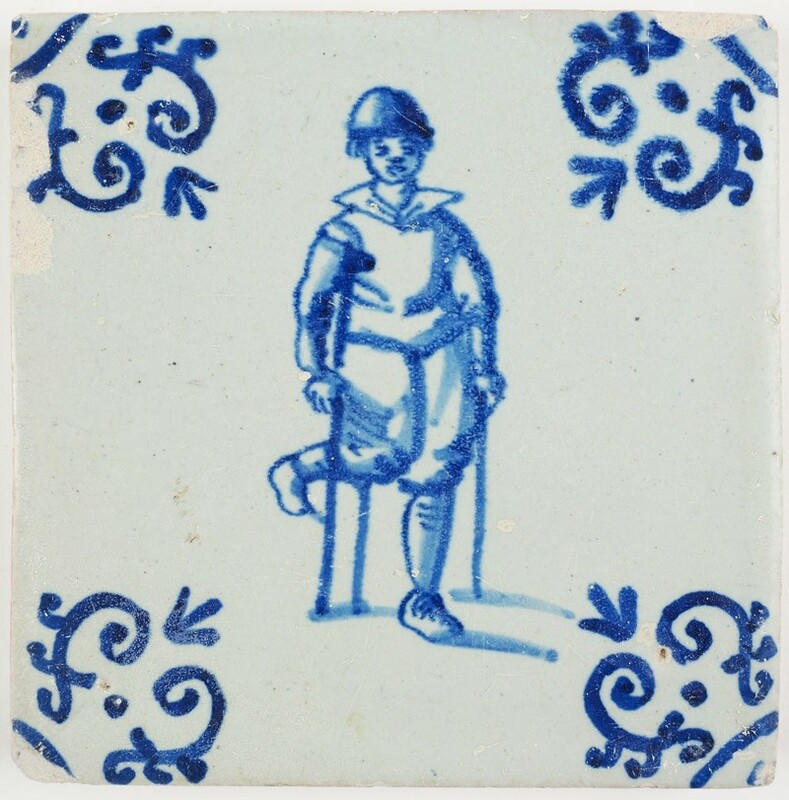 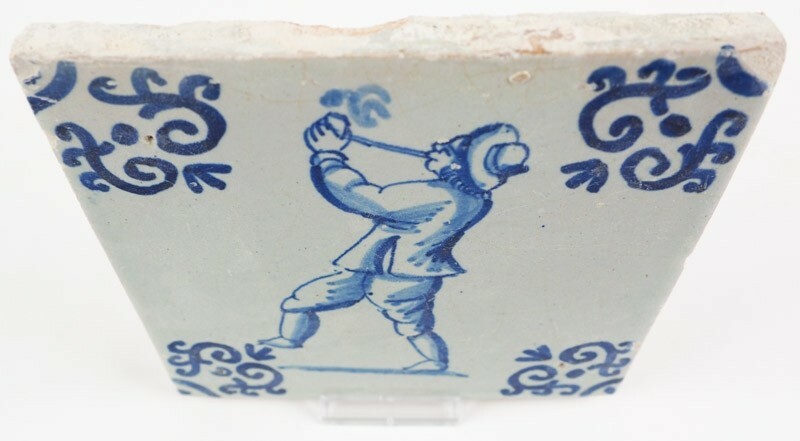 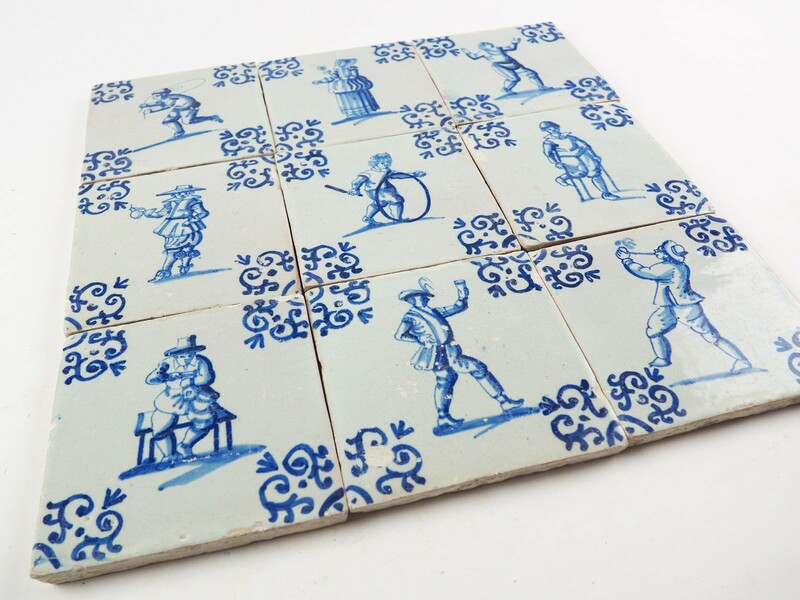 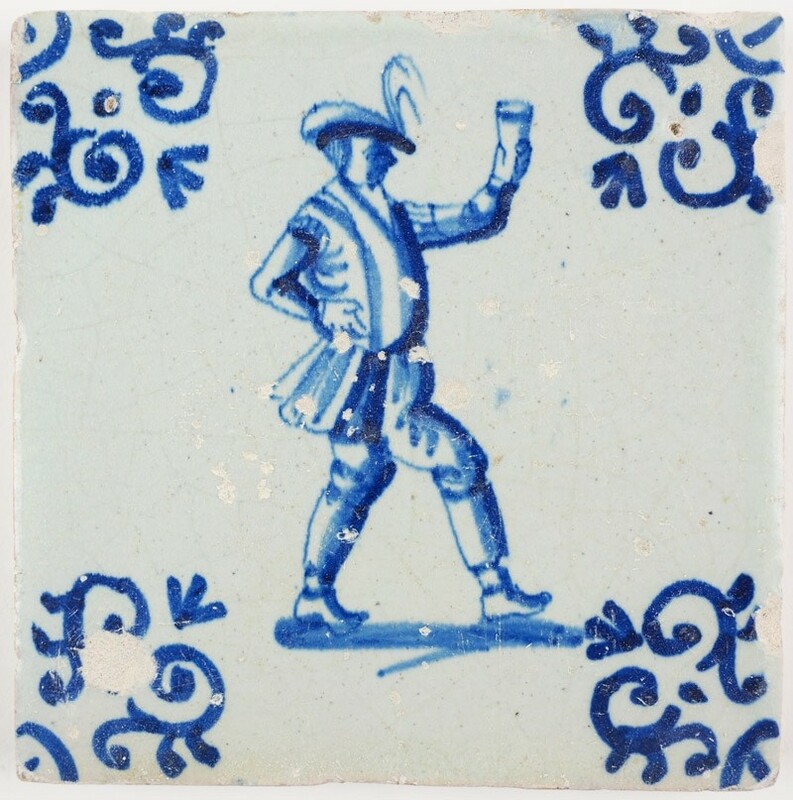 This is a beautiful and rare set of 9 tiles dating from around 1640. 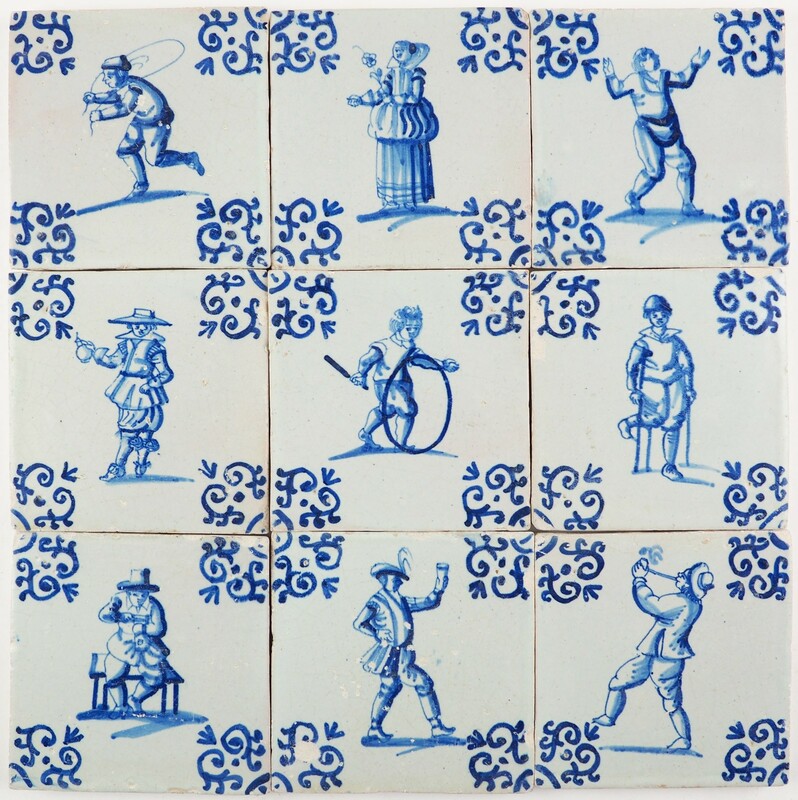 The tiles are of one firing and were painted by the same painter, leading to a very consistent selection of tiles in style and appearance. 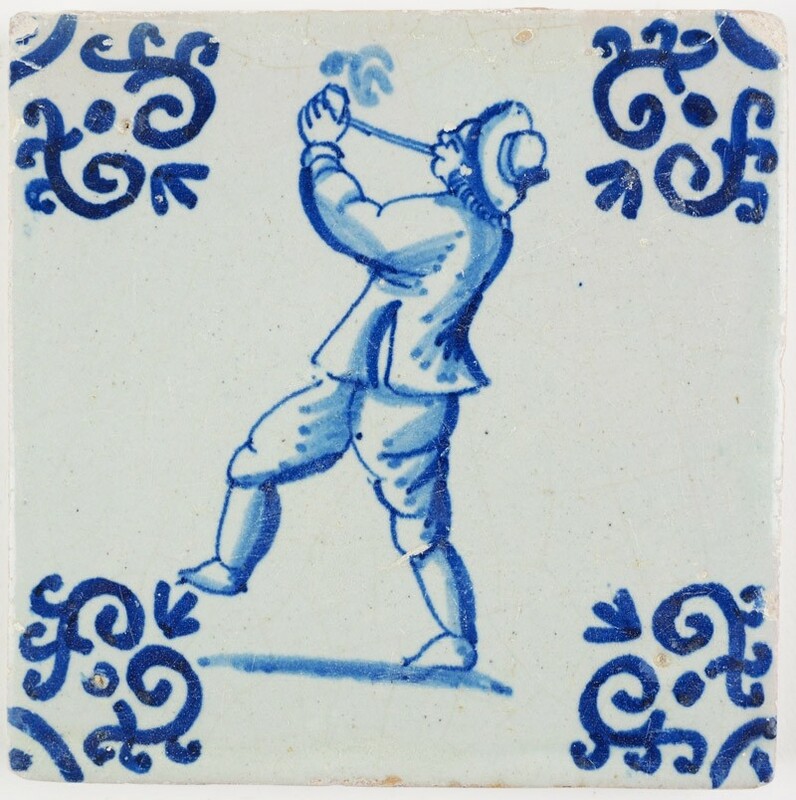 The tiles are decorate with so called 'volute' corner motifs and are all in a good condition without restorations. 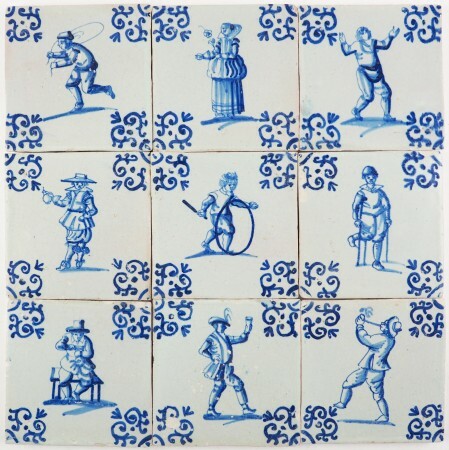 They depict figures during 'daily life' activities in the 17th century. 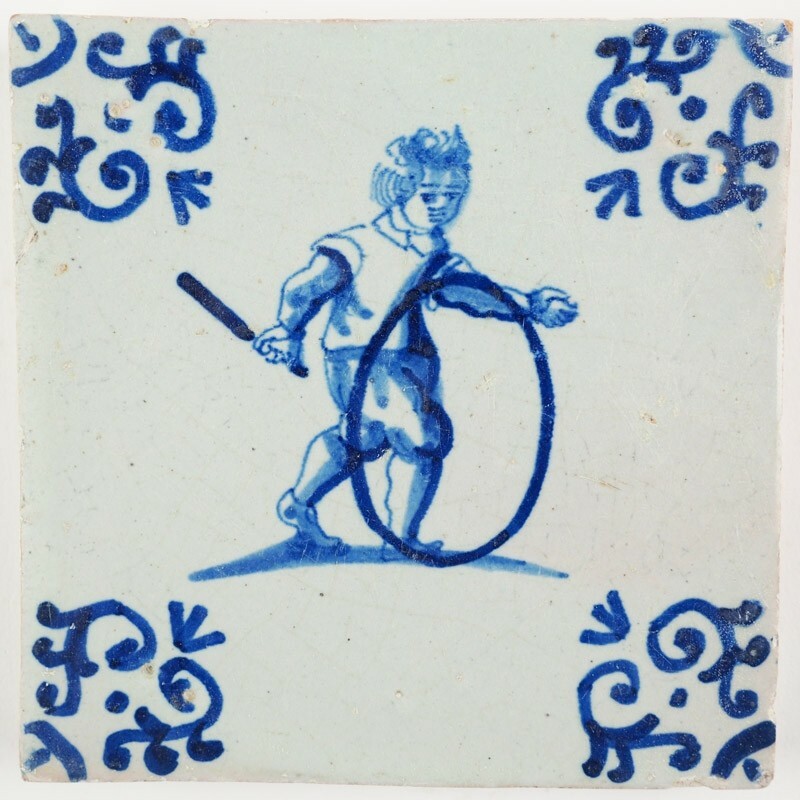 A man can be seen smoking a pipe, a child is playing with a hoop, other figures are cheering or raising a drink. 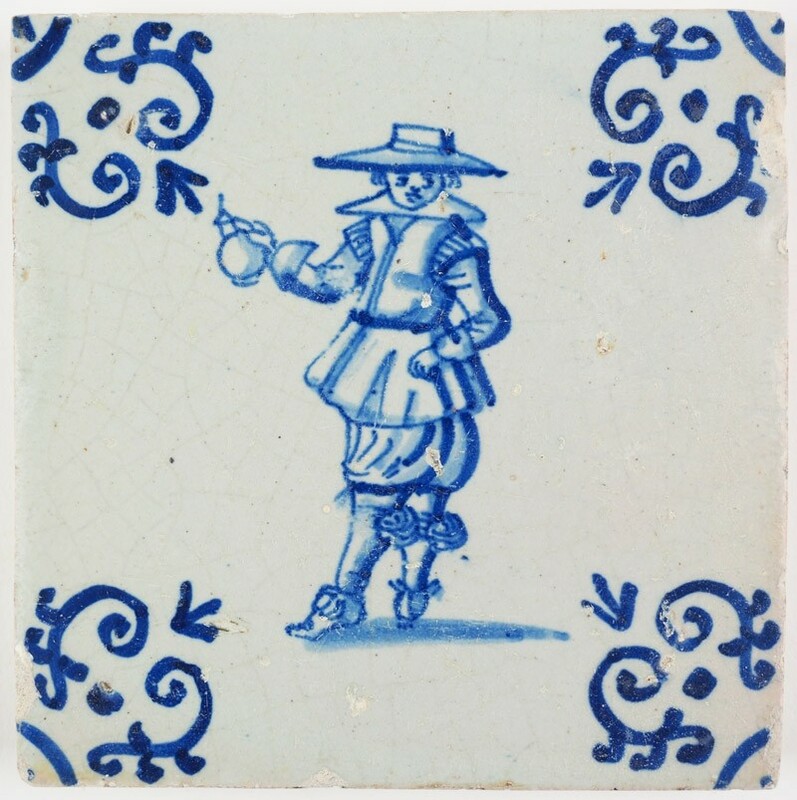 The tiles provide us with a beautiful glimpse into the past.